Today King of Digital Marketing will explain about dark house of SEO Algorithm. Yu can call it Bhulbhulaiya of newer websites. Yes Its Sandbox, Google’s Sandbox. The Google Sandbox Effect is a theory used to explain why newly-registered domains or domains with frequent ownership changes rank poorly in Google Search Engine Results Pages (SERPS). In other words new websites are put into a “sandbox” or a holding area and have their search ratings on hold until they can prove worthy of ranking. Once Google deems a website to be of quality and importance the website will be removed from the Sandbox and can potentially show up high in Google Search Engine Results Pages. Webmasters can do numerous things to improve their website with Google, but time really is the key in getting out of the Sandbox. Sandbox believers say it can take anywhere from 6 months to a year and sometimes longer before Google will promote a website out of the Sandbox. Because Google does not acknowledge the Sandbox and it has not been clearly proven the Sandbox Effect is just a theory. Even though it is just a theory, the Sandbox is believed by the majority of webmasters. The Sandbox is believed to have come about in 2004 when changes to Google’s Algorithm made it so new websites were banned from the top of Google Search Engine Results Pages (SERPS). 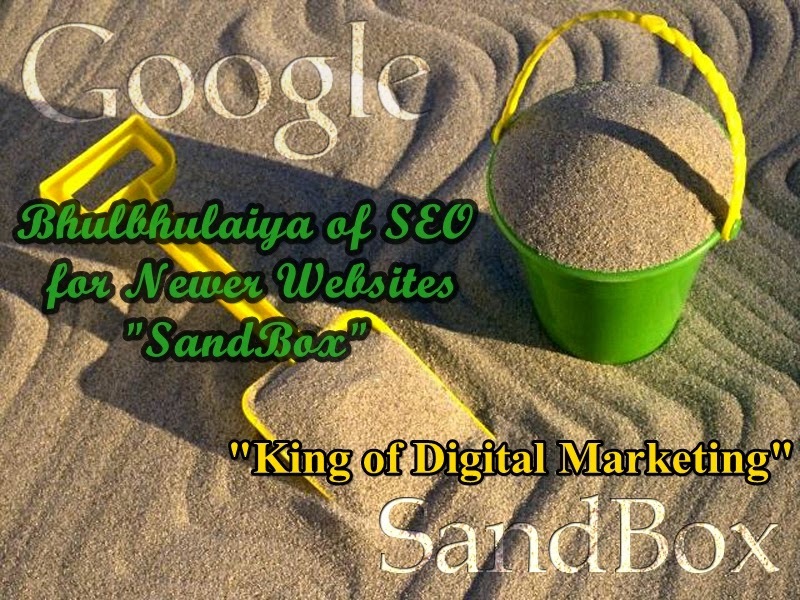 It may seem that the Sandbox is unfair to newly launched websites, but Google created the Sandbox with good reasons. Google was trying to discourage spam sites from quickly reaching the top of Search Results, getting dropped off Google, creating a new site and repeatedly showing up high in Search Results. In the past, companies would put up a promotional website for a short period of time and once the promotion was over the website was gone. These promotional websites would still show up high in Google Search Engine Results even after they were removed, causing many broken links and unhappy Google searchers. Even with the Sandbox Effect it is still possible for newly launched websites to make it to the top of Google Search Engine Results Pages (SERPS). If Google deems a new website of being worthy it can be seen in Search Engine Results immediately, but it can still take up to 6 months for the website to rank to its fullest potential. There are many ways in which web designers use to avoid the Sandbox, some of which are discussed below. But because of its uncertainty, even if all algorithm variables are followed there is still no way to guarantee new websites from being put in the Sandbox. How can you tell if you are in Google’s Sandbox? Now that you know what the Sandbox is it is important to learn how to tell if a site is in the Sandbox. Before determining if a website has been put in the Sandbox you need to find out if the entire site was dropped from Google or if it has just been ranked down for certain keyword phrases. Start by doing a search in Google for your site. To do this type: “site:www.yourdomain.com ” in the Google Search bar (replace “yourdomain.com” with your site URL). If Google does not return any results than most likely your entire website has been dropped by Google. If Google shows your website in the results and your website recently dropped down in keyword rankings, than you are still indexed by Google and it is likely that you were placed in the Sandbox. New websites start out on the bottom with a zero page rank but with time the site can start ranking up. Does your website have a page rank but it is still not showing up in Google Search Engine Results Pages (SERPS)? If that is the case, your website is more than likely in the Sandbox. Often times a new website can have a page rank after a short period of time, rank high in Google Search Results and then all of a sudden disappear from Google Search Results. When this happens it is likely that the site was put into Google’s Sandbox. Many people are left asking themselves why? There is no one answer as to why websites get put into the Sandbox, but below is a list of things thought to affect website’s placement with Google. Google’s Sandbox is not an exact science, so the exact factors which affect a website’s placement in Google are not known. However, there are many proven tactics which can affect the placement of a website which are listed below. · It is possible that someone else spammed people under your domain. This can occur when a domain expires for a short period of time and during that time another person takes over that domain and puts up a spam site. · Has someone stolen the content from your website? If they have than it is likely it has been published on numerous other websites. And as many people know duplicate content and copyright infringement is not good for websites. · Has your server been down or been having problems? Google might have come to index your website when your site was down causing their spiders to not find any content. This means that the most recent index of your site will not show anything. · Do you keep up with Google’s algorithm? If not, it is possible that Google has changed its algorithm factors and your website no longer meets Google’s placement factors. · Do you have any bad links on your website? Having broken links on your site could greatly affect your Google ranking. If you linked to a website a long time ago it is good practice to check back and make sure the site is still legit (and not a spam site) because linking to a bad site can also affect your Google ranking. · Is your domain brand new? It is best to buy an old or expired domain, but if that is not possible it is good to make a domain active for some time before you intend to build your new website. · It is thought that sites which go after the more competitive and popular keywords are more likely to get placed in the Sandbox. To avoid this, start a new website by going after less competitive keywords and work your way up with time. In conclusion, the majority of new websites get put into Google’s Sandbox. If a website gets put into the Sandbox, it typically takes six months to one year to get out and be placed in Google’s Search Engine Results Pages (SERPS). But if planned and built properly it is possible for new websites to avoid Google’s Sandbox. Thanks for sharing really useful and quality post.